Take your relationship to a new direction by gifting this wonderful combo on the holi festive. It’s a beautiful combo of butterscotch cake and herbal red color. 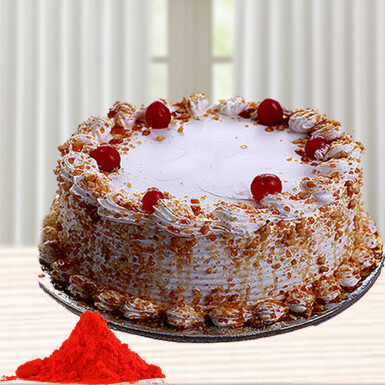 While a bite of butterscotch cake would simply melt in the mouth, offering you a wonderful flavor to the taste buds the colors will add liveliness to the celebration. This gift will fill your relationship with lots of love and happiness. So, go ahead and place your order now!